Dad and I clean fish tonight. Hold the tail. Be steady, quick. Leisurely time spent fishing with family will soon a thing of the past...at least until the weekend, or warm fall evenings. Kids are already at school, or going back after the long weekend. Family fishing trips may have to wait until next summer. In this charming story about such a trip, and using a wide range of poetic forms, Tamara Wissinger offers something entirely original and warmly humorous. It is dedicated to her parents, enthusiastic fishers 'who took their family fishing, and still do.' Obviously, the memories are mostly good ones and worthy of telling. Tell them she does in three voices...Dad, Sam and Lucy. As events unfold, the dreaded Lucy is going to accompany them. Sam is disgusted. Lucy doesn't have any idea about fishing, but she wants to go along and Dad doesn't have the heart to say no. The decision is made, Lucy takes her sweet time getting ready and Sam is about to lose it unless they get going. As luck would have it, Lucy catches all the fish. Well, not quite. After a big tug-of-war, Sam hauls in a catfish. Lucy is full of congratulations. Sam is contrite over his jealousy and behavior, and decides that having Lucy along was not so bad after all. I am amazed at the variety of poems created to tell this novel in verse. Each poem title is bylined by the poetic form used. In the back matter, Ms. Wissinger tells her readers about The Poet's Tackle Box, about rhyme and rhythm, and about poetry techniques that can be tried. Then, she describes the poetic forms used and finally, adds a bibliography that will give aspiring poets guidance for trying some poetry of their own. It is great fun. Once I had finished, I went back and read it again. Matthew Cordell has created full-of-fun black and white illustrations that capture the spirit of the fishing trip and the joy of time spent together. The high notes soar to the ceiling. The low notes swoop to the floor. All the notes swirl and sweep around the blur of people rushing here and there. The music is telling an exciting story..."
"Dylan was someone who noticed things. His mom was someone who didn't." Sometimes I sit and watch the street from my front window (I have the time to do that; I am mostly retired) and watch the people passing by. Occasionally, a parent and child walk past on their way to somewhere else. Too often, the parent is totally engrossed in the smartphone being carried, or listening to music with ear buds. And I wonder what they are missing. Now, it's been a while since our kids were small (and we didn't have cell phones then), but I hope that we took the time to be in the present with them as we walked, allowing them a chance to share and ask their pressing questions. I actually celebrated the other day when I saw a young dad and his son engaged in conversation as they walked along the sidewalk. And, I thought how truly lucky they both were! Too often adults don't notice what is important and very noticeable to children. Little ones have a persistent curiosity and an amazing sense of wonder. We need always to remind ourselves that we just can't be 'too busy' to listen to their questions, their joys, their concerns. As you can see from the title illustration above, this is a story about a little boy and the music. Then, in the first double page spread, the artist makes it clear that Dylan notices 'everything' that is at his level, while his mother is oblivious to all but her own forward motion. "All day the music Dylan heard that morning plays in his head." He doesn't hear it again on their way home, but he does hear it on the radio and realizes it is the very musician he heard earlier. He is inspired and convinces his mother that she should pay attention. FINALLY...they listen together to the 'most elegant music ever written'! It's difficult for me to describe the truly amazing accompanying illustrations. Dusan Petricic is able to capture the quality of the music and its allure for this young boy. 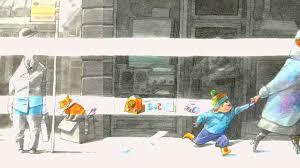 He colorfully contrasts the boy and his mother to the bleak gray of the subway station. He makes the music come alive in swirling washes of color and movement. That music follows Dylan as he and his mother make their way out of the station, but never leaves Dylan's consciousness as he goes about his day, unable to forget its distinct beauty. I love the black dissonance of the lines that symbolize the ugly sounds of the subway and the crowds. Stunning! I think it's very important that we all pay attention to this wonderful book! That's when he tells them that all he wants is to soar above the clouds. As determined as he is to have that happen, and as ingenious as his many attempts, he remains securely on land. Poor penguin, I say again. So, Hippo, Giraffe and Elephant enlist the reader's help in literally turning this story on its ear. They ask that we turn the book. Now, we have a vertical view of the action. They are a never-give-up group! Taking him to the top of a hill doesn't get him high enough; nor does piling stones on the hill work. They are not yet ready to throw in the towel. Young readers will reap the real benefits of the length that friends will go to ensure happiness for a gloomy friend. As page after page is turned, the chances for soaring greatly improve...finally, mission accomplished! It's amazing what a little teamwork can do. Now, let's read it AGAIN! 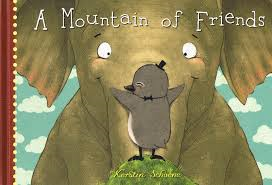 The second time around we can feast our eyes on the sweetly detailed artwork that German artist Kerstin Schoene has created for this winsome story of friendship. The expressions are entertaining, the changing perspectives add attention-grabbing concentration and the reward for having great friends assures heady pleasure. It's a great message. Oh, and don't forget to take a careful at the endpapers! "Next, Mrs. Brown complained that she had a headache. Nurse Clementine gave her a complete checkup. Her ears were okay, her tongue wasn't spotty, and her temperature was normal. So, just to be safe, Nurse Clementine bandaged her head. "You'll have to keep this on for a week, " she said. "A week?" Mrs. Brown said with a sigh." No one in my family ever had to worry about me choosing a medical field for my life's work! So, I didn't tie my brother up in bandages, or threaten him with needles, or splint his leg or arm. I left all that to my mom, the dedicated and efficient nurse that she was. "Nurse Clementine rushed over with her stethoscope. She told Tommy to keep still while she checked him for breaks and bruises. "I'm not broken," said Tommy. I don't need a nurse. 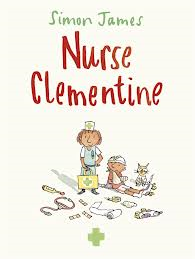 It isn't until Tommy runs into some real trouble that he allows Clementine to come to the rescue and ply her trade. Truss him up she does. 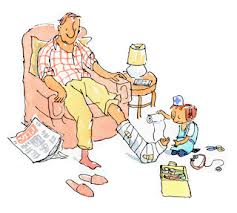 Without her scissors to help with reasonable length for the bandage, Tommy learns the true meaning of tender loving care...and he's stuck for a week, just like all the others! Charming watercolor and ink illustrations, done in a pastel palette of blue, green, peach and tan, are placed with care on clean white backgrounds allowing readers to see a caregiver in action at all times. Laugh-out-loud funny, they will capture attention and provide inspiration for those considering a medical career in their future. "In the city of Mainz in Germany, around the year 1450, there appeared a mysterious thing. It was made of rags and bones, soot and seeds. It wore a dark brown coat and was filled with gold. It took lead and tin, strong oak, and mountain to make it. As we all strive to share more nonfiction in school classrooms, I am one of the official enthusiasts for using picture book biography to help young readers look at history, the way things have changed and the many amazing people who have helped fashion those changes. 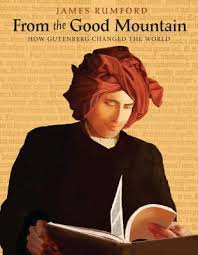 "Gutenberg's books were works of beauty. The letters were crisp and clear. The ink was jet black, and even today it glistens like new. No one knows how he was able to do such beautiful work." On facing pages, James Rumford introduces us to the man and the printing press that he invented. On the left side, the text is a riddle to be solved concerning paper, leather, gold leaf, ink, and finally, the printing types themselves. On the right are the images painstakingly created to give a true sense of the process. It isn't until late in the book that we meet the man who is credited with the invention of the printing press and a brand new way of creating books for people to read. Poetic and beautifully illustrated using ink, watercolor and gouache, this book is illuminated with gold on its borders, just as Mr. Gutenberg's printed books were. James Rumford evokes the fifteenth century and Mainz, Germany in carefully constructed images that give readers a feel for the process as it evolved. It's lovely! The "Epilogue" further considers Johannes Gutenberg and also discusses how that original printing press process has changed over the past five hundred years. It also encourages a search of key words on the Internet to bring further understanding. It gets much, much worse! out from behind my ear!" We've all been where Goat is, I'd guess. Feeling pretty good about ourselves and happy with life as it goes; then, BLAM! Someone shows up and totally deflates our bubble of confidence and self-worth. This time it's Unicorn. When Goat rides his bike smartly along on his way to school, Unicorn flies by! When Goat makes yummy, gooey nearly perfect rice krispie squares to share, Unicorn makes it 'rain cupcakes'. You get where I'm going with this? Any child faced with such a dilemma is sure to bow a head or shake a fist, proclaiming....'it's not FAIR!' I know; I taught grade two children for ten years. There is no one in an early years school more aware of fair than they are! 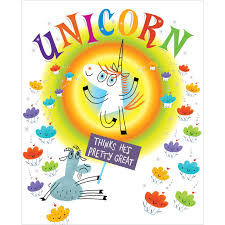 So, Goat is no longer feeling good about himself, wishing he had the many supernatural powers that Unicorn is able to display, while whining about it. 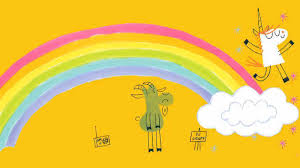 That all ends when Unicorn lets Goat know how jealous he feels about all the special things that are part of Goat...the cloven hooves to name just one. Goat is astounded, and then contrite. Perhaps, they can be friends; in fact, maybe by combining their truly wondrous talents, they could become the next super-heroes! Unicorn has an even more awesome idea. Bob Shea does it again. 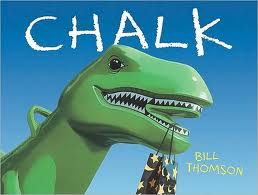 He creates individual and recognizable voices for his two characters which make this story so much fun to read out loud. Using his signature (and even a bit kooky) artistic style, he shows expression, exuberance and delight in bright colors, sparkly backgrounds and familiar scenarios. 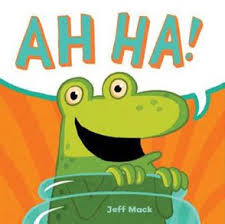 Kids are sure to find humor and enjoyment in hearing or reading this book, and perhaps even a chance to share feelings and stories of their own. I'm sure that Goat and Unicorn would encourage them to do just that! "I never thought I would miss those crocodiles, but these 4 GRIZZLY BEARS are even worse! We're never going to count the monkeys! Okay, put your arms above your head! Make a loud roar! Bang together some pots and pans, if you have them. 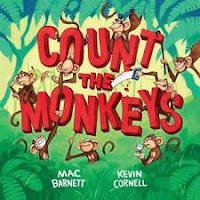 While it seems a simple thing to do...count out some monkeys, it proves a difficult task for readers. The sign shows us where they are, and all we have to do is follow that sign to get our job done! With each turn of the page, there is no occasion to count them...there are none. There are fearsome predators like 1 KING COBRA who appears to have scared them away. We don't really want to catch his eye. He seems happy admiring himself in the mirror. Perhaps we can sneak past. "Phew! 6 SWEET OLD BEEKEEPERS have shooed off all those bees. Say "thank you" six times, very politely -these ladies care about good manners. Now, finally the monkeys can come back. Turn the page and count the monkeys!" Do you think they are back? The jungle has never been so full of nonsense! With every page turn, young readers and listeners are sure to be hooting with laughter. The narrator is a wonderful guide through the pitfalls that constantly crop up, and is occasionally frustrated by events, especially with those persistent lumberjacks. It takes some unconventional thinking, but a solution is found to rid ourselves of them. Still no monkeys, and there are no pages left! What a bummer. A final turn of the page to the back endpapers. I wonder?!? You will read this absurd, hilariously funny, interactive counting book over and over again. It won't even bother you. Every time I read it I find more to delight my ears and my eyes. Kevin Cornell fills the pages with action, with bright colors and a verdant jungle, with fearsome mongooses (? ), with insatiable grizzlies, with compliant beekeepers, with smug wolves, with hungry lumberjacks and even happy rhinoceroses with halitosis. I mean it, he fills the pages! I was just telling myself, "Seymour, you've got it made," when my exercise wheel was delivered. (I like to work out.) It's the best model around, the FuzzyBoy 360..."
Seymour lives the sweet life. He is loved, he has all of the amenities available to a pampered pet and he's safe within his comfy cage. He thinks he's got the world by the tail. That is, until Pearl the cat lets him know that the world is a big place, and convinces him that with freedom comes endless pleasure....and food! "Little Girl woke me up to clean my cage today. She kissed me on the nose again. Barf! She needs to knock that off. But while she was carrying me around, I realized there's a lot of house around me that I haven't seen. It seems to go on forever! I tried as hard as I could, but I couldn't see a sunroom." Of course, if you know cats, you know that they have their own agendas. Pearl is no different. Once Seymour is out, it's her chance at a nifty and nutritious nibble. She terrorizes him after telling him a 'big fat lie' and encouraging his escape. Seymour is patient, finding comfort and safety under the sofa. He manages to write a will, and wait until Pearl succumbs to sleep. Chance encounters with other terrors, and the timely appearance of Little Girl, ensure that Seymour is unlikely to make another escape attempt in his lifetime! Ah, bliss! Each of the memoir entries are Nights, numbered from one to fourteen. It's just too much fun, by far. 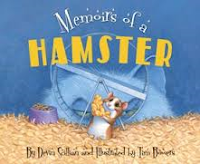 What a great readaloud for home and the classroom, and an excellent mentor text for thinking about memoir writing! You must have memories to share, and I'll bet your kids do, too. Be sure to read this one alongside Memoirs of a Goldfish (2010). "They decided that Wise Old Turtle could settle their quarrel. "Wise Old Turtle, do we wear socks or mittens when it's chilly?" asked Squid. "Nonsense," said Wise Old Turtle. "When it's chilly, we wear scarves and earmuffs." Ah, short stories that appeal to little ones while also packing a bit of a social punch for older readers. The best thing about each of them is the power of friendship to change our perceptions about ourselves and about the world at large. 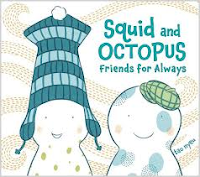 In four stories we get to know both Squid and Octopus...a lot about their abilities at being good friends and a little about themselves. We also slyly meet some of those who share their ocean habitat, and are who are only too willing offer advice or comment. As anyone who has a friend knows, it's not always easy. At times, we give over an argument to achieve peace. At other times, a helpful and non-biased suggestion helps us see the issue in a different light. No matter what, friends stand together and support each other. That is just what happens with our two new friends. They quarrel, they empower, they laugh and compromise, and they worry together. Each short story allows readers to see one solution to the dilemma faced, and offers a new way to consider looking for that solution. The narration is just right to keep readers turning the pages in hopes of resolution. Sweet and natural, there are no contrivances here to teach or ensure compliance. Children are left to decide for themselves how they would deal with their own friends. 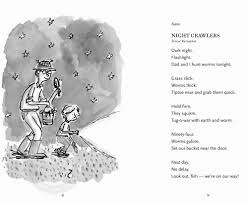 The illustrations are fashioned in a palette akin to the watery depths of the setting...blue, yellow, green and a few dashes of orange. The dream in the second story is encased in a deep sea blue with loopy edges and boasts a lift-the-flap that adds a touch of celebration. I love the many little asides provided by other creatures of the deep as the two friends find common ground within each story. Three kids in a park. Oh, my! You need to have this book in your hands...right now! What an inspiring work of art it is! I guarantee you will be sitting on the edge of your seat and waiting for the release of Fossil (Two Lions) in early November, just as I am. I cannot imagine the work it takes to create these wondrous images, proof positive that there need not be words to make a powerful story. On this rainy day, three friends are happily strolling through the park when they approach a spring rider that looks like a dinosaur. The dinosaur has a gift bag hanging from its jaw. Upon checking the bag, the children see that is full of chalk sticks. Needing no encouragement, one of the girls uses the yellow stick of chalk to begin drawing a sun. In a blinding blink of an eye, that sun drives away the cloudy skies and brightens up the day. The children are astounded and filled with delight, and ready for adventure. An orange chalk summons a host of delicate butterflies. The young boy is not content with sunshine and butterflies. He wants more, and that is just what he gets when he draws a dinosaur! The children run, screaming in terror. It takes another gem of an idea to ensure their safety and a return to life as it was before they opened the gift bag. "Bill Thomson embraced traditional painting techniques and meticulously painted each illustration by hand, using acrylic paint and colored pencils. His illustrations are not photographs or computer generated images." The cartoon drawing that accompanies this page of text shows a bearded, bespectacled, white-haired doctor asking innocently: 'How long have you been suffering from this cramp', while the chameleon's tongue sticks straight out in front of him, across the width of the doctor's office. It made me laugh out loud! Further on is a graphic comic layout showing a giraffe munching on the leaves at the top of a nearby tree. Suddenly, his eyes open wide and he spits out two chameleons with the admonition that they 'stop hiding in my food!' They are contrite and offer to find another place to hide. 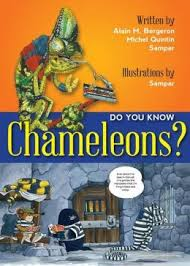 "The spikes, horns and other protuberances that adorn a chameleon's body help it blend into the foliage." It' evident before we get to the title page that the bull whose story this is is not a happy camper! In fact, we see his heartbroken reaction when he is 'bullied' into going away. His sad eyes, his hurt demeanor evoke sympathetic feelings in those who open the book. Is it a surprise then, when asked by much smaller animals (a rabbit, a chicken and a turtle) if he wants to play that his response is clearly confrontational? He has been hurt, and he intends to make someone else hurt as he does. "I’ve always felt very empathetic when witnessing bullying of any kind, and long ago I’d realized that bullies are saying far more about themselves than those they’re bullying. I’d also discovered that, even though it’s not an excuse, there’s almost always a reason for such behavior. 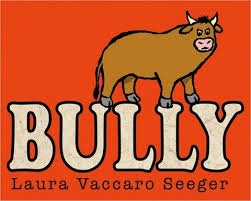 That’s why I felt so strongly that on the opening spread—even before the title page—we witness what made this little bull become such a big bully." It must be tough to feel that way when you are on the receiving end of some of the ugly things that bullies say and do. But, I think she is absolutely right. Too often, there is a reason for the way they behave. No, it's not an excuse, and it's hard to fathom that what makes a bully so sad and uncomfortable is exactly what they are willing to dole out to others. But, that is the nature of many of such interactions. She makes it so clear in this seemingly simple book for our youngest readers. There are only 18 words in the book, but they have tremendous power. Every word and image is designed perfectly to show little ones how calling others names hurts, and how it is possible to end it. The small brown bull takes his hurt out on every creature he meets, getting ever bigger with the power to intimidate. The words meant to hurt are perfectly chosen, and make the point without any elaboration. It isn't until the goat brings its message home that the bull realizes what he has been doing, and reacts promptly. The fence that has been holding them in offers an opening for a better time for all. 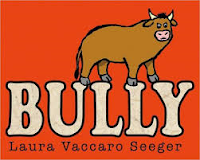 Ms. Seeger says that her book is about one particular bully, and one solution...not about all bullies. It is an important distinction. There is a lesson here, but it is gently shared without a hint of being instructive. Every detail is carefully constructed...the red cover, the sad and then surly expression, the emotion of all on the receiving end of his anger, and the peaceful end to a bad experience. Be prepared for talk...isn't that the best part about sharing wonderful books? "Because of her, I learned a lot about chimpanzee child-rearing. Strike that. I learned a lot about child-rearing, period! When Flint or Fifi misbehave, or do something she doesn't want, she doesn't hit them. She gently stops them. And if that doesn't work, she still doesn't hit them - she distracts them instead. And touching. Always grooming and petting and touching. This works wonders..."
Wow! Three strong, intelligent women in one brilliant graphic novel. Who could ask for more? "We now know that chimpanzees and humans share a great deal of DNA...96% or more. But in 1960, "human = tool user" was the prevailing wisdom, and I put that to rest. Meat eating and fishing for termites in the first two months. Not bad. Now, I started getting closer and following them more actively. It worked in large part because of one individual. I called him David Greybeard." "I'm here to stay, and I'm here for the gorillas. So when I find a poacher's camp, I know what to do. This is part of my job now." 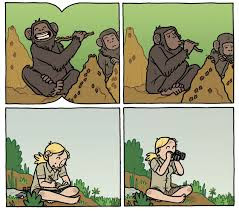 Jane Goodall observes as much chimp social behavior in a few hours as I do for orangutans in two months. Make that two years." Much respect is given to the three women who changed the way the world looked at primates. The author and illustrator include a good deal of humor to engage their audience and to provide a close-up and personal look at some of the many trials and tribulations of the research scientist, while also sharing the endless joy they found in their work. Each voice is strong and clear, allowing readers a unique look all three women. When they were together (as they are at a few different times), they are clearly exceptional and very different, one from the other. What a truly wonderful introduction this is to three women who changed the world and how we look at it. Funny, informative and totally engaging, it is worthy of a place in every school library. The creators tell their stories with panache and exceptional art. It is not to be missed! When you are a child, you don't have to think long and hard about how you might do what is there for you to do. Kids know how to use their imaginations without holding back. Julie Morstad is an incomparable 'kidwatcher'. She must be. Otherwise, she would never be able to create the stunning and wonderful books that she does. If you haven't seen them, please do yourself (and your family) a favor and check for them at the library or in your local bookstore. They are a revelation! how to is not your typical book to explain how things might be done. Oh, no...it is not! It is an utterly ingenious and immediate response to asking a child how to do something special. The premise is so simple, the response so unexpected for most of us. There is joy in each of the invitations. Every illustration tempts the reader to linger. The children appeal with their gentle demeanour, their bright clothing, their joy in the world. 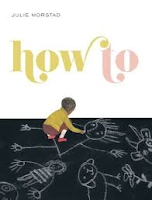 The 'how to' encourages us to think beyond what we see on the page, and share our thoughts. Young readers will be interested in those chosen to be shown. The children pictured are absorbed in what they are doing, evidence that this is serious work for them. You will giggle with them, rest quietly, and occasionally feel a tear at the corner of your eye, while always being keen to turn the page to see the new wonder that is there for you. how to encourages those who share it to enjoy each moment of the day. This is a very special book; you need to find a copy and see for yourself! "In their early days, the Beatles performed for hours and hours in hundreds and hundreds of shows around England and Germany. It was exhausting and paid next to nothing. Anxious to have a record of their own, the Beatles were afraid the band was going nowhere. They used silliness to help keep their spirits up." "At 71 years old, he's still got it. Former Beatle Paul McCartney played a sold-out concert at Winnipeg's Investors Group Field for nearly three hours Monday night, leaving fans hoarse and happy. The 71-year-old musical legend and his band took to the stage at about 8:30 p.m., kicking off the show — part of the Out There tour — with the classic tune Eight Days a Week, then went on to rock the crowd with favourites like Hey Jude, Blackbird and Live and Let Die. The show wrapped up just before 11:30 p.m. after three encores and a sky filled with fireworks and confetti." Obviously, it was the place to be! Since their first recording contract in 1962, the Beatles have influenced music throughout the world for listeners, and for musicians. 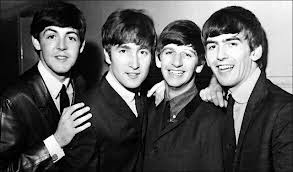 Beatlemania is surely a part of my musical history, even though I have never seen any of the boys from Liverpool in person. I remember that Christmas in 1963 when we danced and sang our way through the entire album, our parents concerned with our preoccupation with those 'long-haired boys from across the pond'! 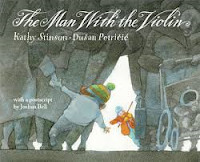 In this picture book biography, Kathleen Krull and Paul Brewer begin at their beginning, where four young men forged a friendship that they filled with laughter. As they became stars around the world, it was this humor that allowed them to deal with the insanity that followed them wherever they went. "It was the birth of something new: Beatlemania. No one had seen or heard a band quite like the Beatles before. Fans followed them everywhere. The lads became clever at escaping crowds, although sometimes they needed help. Once a police officer slung Ringo over his shoulder to get him to safety." "Q: You Beatles have conquered five continents. What do you want to do next? 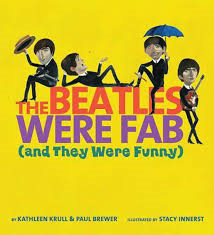 Stacy Innerst does a wonderful job of bringing out the personality of each of the 'fab four' in illustrations that add to the text, and provide many details about their journey to fame and fortune. They encompass the humor and playfulness that the authors evoke in their words. A timeline and source notes are beneficial. Now, dig out your old LPs and crank up the sound; then share this lively and informative picture book biography with your family, or in your classroom. They'll love you...yeah, yeah, yeah! "I mean, do you even know this guy, Ellie." "Yes," Ellie said, her voice low and fierce. "I know him. I do." Mom shook her head as if she hadn't heard. "He's a movie star, for god's sake. He lives in California. He's going to be out of here in just a few weeks. How can you possibly think this is worth it?" If you loved Jennifer Smith's The Statistical Probability of Love at First Sight (2012), you are going to want to read this book, too. I can almost feel a movie in it, just as I did when I met Hadley and Oliver last year. Ellie and Graham mistakenly meet online when he sends a text intended for someone else, and she answers it. Thus begins an interesting and mutually enjoyable continuous conversation. They learn about the other in emails that are brief and real, and often humorous. As readers we are given a clear look at who they are when nothing else is in the way. When shooting for his movie moves to the Northeast coast, Graham suggests they film the final scenes in 'Middle-of-Nowhere, Maine'...where Ellie lives. When they meet, the generally unflappable Ellie is nervous. She can't believe the attention that follows Graham everywhere he goes, and recognizes that the endless scrutiny may bring her own family 'secret' to light after her mother has worked so diligently to keep it quiet. Told from both perspectives, the reader will begin to understand how each character has vulnerabilities and concerns for family, friends, and their circumstances; but, they also have strong feelings for each other. That creates unwavering difficulties for both. Yes, there's romance here. But, there is more to the story than that. Graham and Ellie are strong protagonists trying to deal with family, friendship and their own growing relationship. They are loyal and thoughtful, while also being teenagers and it is, after all, the summer. The complications they face are inherent in their family relationships, and the unwanted and un-asked-for attention and notoriety that fame can bring. This fine book is sure to find audience in Jennifer Smith fans, and likely to draw even more into that large group. I wonder if we will hear more about Ellie and Graham in the future. "The stars, they are not bound one to another. They are meant to be gazed upon. Admired, enjoyed. It is like the fly-fishing. Fly-fishing is not about catching the fish. It is about enjoying the water, the breeze, the fish swimming all around. If you catch one, good. If you don't...that is even better. That means you come out and get to try all over again." Jack's mother is dead. His father has been at sea for four years. Life is not that great. When his father gets leave from the navy to move Jack closer to his home base, he enrols Jack in a boarding school in Maine. That doesn't make life any easier. Jack is new to the school, alliances have been made and while the boys don't treat him badly, he finds that he has little in common with any of them. Enter Early Arden. Jack notices him on the first day he is at the academy...he is filling sand bags in an attempt to hold back the ocean. Early is 'strange'; but that doesn't keep them from friendship. Jack soon learns that Early is special, while being considered strange by others. Early is a math whiz and becomes agitated when their math teacher passes on the premise that the numbers in pi do end. He sees stories in those numbers he so loves. And, he shares his stories with Jack. Their friendship is based on a mutual interest in math, music and rowing. Together, they set out on a quest; Early wants to find his lost brother, a mythical bear and of course, Pi. Not wanting Early to go on his own, and with no plans for the week's holiday, Jack decides to accompany his friend. The pace definitely picks up as they set out, and I spent the rest of the time reading right through the many beautifully crafted scenes. 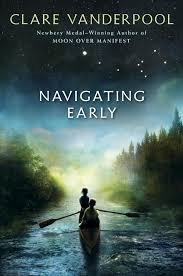 Navigating Early is about grief, about relationships, about bravery, about family and healing. It is about pirates and adventure, remarkable characters, and also about great fear. It breaks your heart and then mends it. No spoilers here! 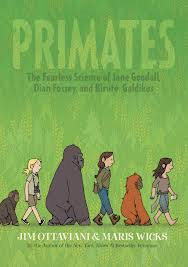 This would be a remarkable book to read aloud to a group of sixth, seventh, eighth graders, and one that would find an audience for independent older readers. I'm certain that you will see it as a Newbery contender! "My mom was right. Our stories are all intertwined. It's just a matter of connecting the dots. I keep looking for her to pop up somewhere in this story. To somehow, mysteriously, be a part of the connections, intersections, and collisions. I keep feeling that I should have something more than just the broken fragments of her teacup tucked away in a box in my closet. But I know Elaine Gallagher Baker, the civilian; she'll turn up somewhere. And when she does, I'll hear her say, There are no coincidences. Just miracles by the boatload." "By 1905, Queenie was about nine, and this meant she was old enough to carry passengers. She would wait patiently while her passengers climbed a stepladder and sat in a special saddle called a howdah. At the signal from her keeper, she would slowly move forward..."
It's interesting that, on a day when I read a convocation speech that George Saunders made to the 2013 graduating class of Syracuse University about the need for showing kindness in tangible ways to others (<http://6thfloor.blogs.nytimes.com/2013/07/31/george-saunderss-advice-to-graduates/?_r=0) , I also read this powerful book about an elephant who spent too many of her days making money for her owners by carrying hundreds of passengers around the Melbourne Zoo. The young elephant was plucked from her natural environment and her mother's love by hunters, trucked to Calcutta and transported by ship to Australia. 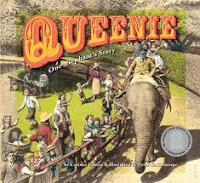 There, she became Queenie and began her life in service to zoo patrons. There were happy times, of course. She loved her first keeper, Mr. Parsons. She worked six days every week, and was much loved by many who met her and rode on her back over a period of forty years. "Some children stuck pins in her trunk. seemed to tire of the game..."
or did she? You will have to read her story to learn how truly intelligent elephants are! 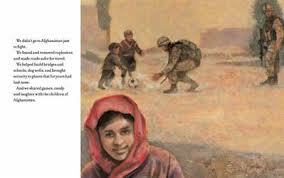 Her story is told with grace, and is informative for young readers. I hope that it will encourage discussion over our perceptions concerning animal 'slavery' and what we have done to animals in the wild in our past, and are still doing today. It may even lead to some thoughtful conclusions about making changes to protect the animals that do remain in the wild. Peter Gouldthorpe has created acrylic illustrations that evoke a time period long past. They are elegant and detailed, allowing readers to get a feel for the zoo as it was in the early twentieth century. His gentle renderings of Queenie herself are testament to her gentle nature, her willingness to do what was asked of her, and the legacy she left when she was put to sleep during the food shortages of WWII. It is a story to be shared. The mistake is all yours. 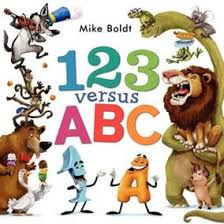 You are going to have great fun with this book from Mike Boldt, a Canadian author living in Edmonton. There is no way that the Number 1 and Letter A can come to a peaceful agreement right from the get-go. Each thinks that the book is meant to be about them! The argument looks like it might go on forever, when an unsuspecting alligator shows up. 11 Koalas and 12 Lions. Why don't you just quit? By using two colors for the bolded words, the author makes it clear who is doing the talking. This will make partner reading a lot of fun for little ones sharing it. I can just hear the expression and emotion they will garner for the telling. Bright color, much commotion and many appealing characters fill the pages! White space allows for brief moments of eye rest. There is so much to see: time is sure to be spent spent counting and recounting, checking every character and discussing expression and reaction and always keeping an eye on the two who lead us through this ingenious mash-up of letters and numbers. If you are looking for fun, while still wanting to encourage an interest in letters and numbers with your preschooler, you can't go wrong with this stellar book! "Come look at my boat. It's because there's no wind! Oh, that Benjamin Bear...he's a thinker. The humor that is part of each small story assures that this is a book that will have appeal for any reader, in school or not. I love it...and I'm an old(er) woman!!! Each page encompasses one short story, short on space but surely not short on story. 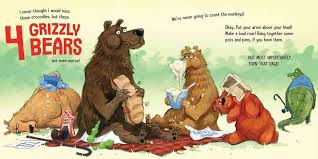 They are funny and subtle, leaving readers oohing with delight at the characters and their antics. It's tough to pick a favorite and mine waver from one reading to the next. The first time I read it, I loved the moon story. It begins with a crescent moon. Benjamin thinks it must be hungry. Luckily, he is surrounded by a full complement of food which he offers the moon. As the moon eats, it grows rounder and rounder, until fully satiated when it wanders away with a hearty thanks. The next time, it was 'the maze'. Benjamin enters, apple in hand. When he discovers that he is lost, he is thankful for his apple. Of course, eating it might help. Luckily, before that happens, ants come marching into the maze, pick up the apple and show him the way out. I'm not sure about the next time that I read it. Kids will find joy in reading it repeatedly. They will laugh and want to share what is happening on its pages. 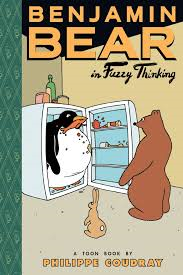 They will tell and retell the funny predicaments that seem a natural part of this poor bear's life. Kids interested in graphic art will study Philippe Courday's style and learn a lot from the way he designs his work using variety in panel sizes and combinations. He tells a lot with expression, action and wonderfully drawn characters and backgrounds. The illustrations use just the right amount of color and detail, not overwhelming the story and creating a comic style that is sure to garner attention and new fans. Perfect for early and reluctant readers! "Her mother was already home, sitting on the living room couch. She looked like she'd been crying. And that wasn't all. Oppie was sitting next to her, looking skinny and tired. Dr. Robert Oppenheimer, the head of the whole Hill, his expression official and serious. It wasn't possible. Joyce couldn't have told already. "We're really fubar,' she whispered to Dewey." I absolutely had to read this book! I finished Bomb by Steve Sheinkin a while ago and it fueled my need to read a fictionalized account concerning some of the people who worked in Los Alamos, and helped in constructing the atomic bomb. Dewey is a character that I will long remember for her steadfast commitment to being herself, to following her own dreams and for her ability to thrive under the most dire of circumstances. After all, there was nothing she could do to change them. I grew to like Suze, Dewey's friend. It took some doing, on my part and certainly on Dewey's; she was worth that work! I find myself wanting to know more about them, and am delighted to know that I will soon get that chance. White Sands, Red Menace was published by Puffin in 2010. I just added it to my Kindle collection. I have my fingers crossed that it will meet my expectations. If it does, I will be sure to tell you all about it. Back to Dewey and Suze. They are the children of scientists working on a secret project in the New Mexico desert, not really understanding why they have moved from the life they have always known to the desolation found in this place no one else knows anything about...hard to fathom. The Green Glass Sea is a truly unique novel for middle graders, and is a perfect companion read if you share the brilliant nonfiction book created by Steve Sheinkin. Here, the young women know nothing about the development of the bomb, except to call it the 'gadget' and to share their parents for most hours of the day with other workers who toil in secret. Dewey lives with her father, until his untimely death while on a trip to New York. Then, she is taken in by the Gordons, Suze's family. It is a tough go, for a while. But the girls eventually find common ground, both being misfits. They become quite the pair. "I wanted to end it just before the world changed. The reader knows the world changes irrevocably on the next page, but the next page is not a part of my book." It is a book about world history, about family and friendship, about grief and healing. It is thoughtful, and it is definitely worth reading. You will not soon forget Dewey, or Suze and the circumstances that made them friends, and you are not likely to forget the described beauty of the green glass sea. "The bay itself probably didn't take up more than three or four acres. However, just like the entrance, the water was uniformly deep, which made it an excellent and totally protected anchorage, especially for people who wanted to stay hidden. 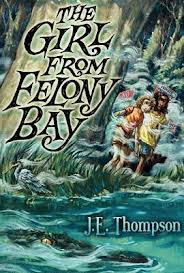 It had gotten the name Felony Bay because most of the people who had put their ships there over the years had been criminals." It has been quite the year for Abbey Force! Her father lies in a coma, accused of stealing one of his elderly client's fortune in jewels. The evidence is seemingly irrefutable. Abbey is sure he has nothing to do with it, and she wants to find proof. As a result of her father's hospitalization and the mounting medical bills, as well as the claims made on his law office, the family home has been sold and Abbey has been forced to live with her good-for-nothing Uncle Charlie and his demanding wife, Aunt Ruth. Neither treats Abbey with decorum, or empathy. Instead, they use her youth and vulnerability to keep the house clean, follow orders and not make any waves. It is only when she returns to Reward Plantation, her family home, to take care of the horses housed there that she finds comfort for her heartache. When she meets the daughter of the plantation's new owner, Abbey finds a soul mate. Both have faced terrible times, both love horses, and both have a need to know more about the NO TRESPASSING SIGNS they find while exploring Abbey's old home. Together, they set out to find answers to the many questions concerning the land, the accident, and the theft. In his debut novel, J. E. Thompson creates characters to admire and root for, a setting that has its own innate appeal with its secret pathways, snakes, gators, and even local lore that suggest it might be the site of buried treasure! You can almost hear and feel the hum of the pond critters, the deep darkness of its many hidden niches. The sense of foreboding that surrounds the many discoveries they make as Abbey and Bee seek to solve the mystery is palpable and kept me turning the pages with trepidation for their safety. Isn't that the best kind of book for summer reading? Abbey and Bee become fast friends quickly, sharing sadness and in need of healing. Both have secrets to keep, and eventually find a way to speak of them to the other. Bee's grandmother is wise, and always there when they need her. The villains are scary, and mostly wicked. The inclusion of the history of the area, and issues of slavery and land ownership add a quiet but poignant dimension. Characters to root for, a fast-paced mystery, and plenty of adventure and suspense...those are the makings of a classic tale that is sure to win fans in intermediate and middle grades. "At work, William was having more and more trouble keeping his growing forging operation under wraps. He'd learned a lot about how to make the documents appear authentically old. His office looked like a chemistry lab. Bottles of inks, acids, emulsifiers, and watercolors; paintbrushes, boxfuls of pens and nibs; many different kinds of paper and parchment; candles, sealing wax, ribbons and erasing rubber." There are eight stories here, each as entertaining and enlightening as the next. They are sure to find fans who long to know about some of the most famous hoaxes perpetrated over past centuries. Andreas Schroeder is an expert in the field and writes with authority, and a storyteller's knack for getting right to the heart of the action. "Actually, Enricht had merely discovered that if you add a very cheap chemical called acetone to water, it will run an engine - for a while. Then it will destroy it. But before anyone found that out, he convinced not only Henry Ford but several other famous American businessmen to give him millions for his worthless invention." In each of the eight chapters, we are introduced to the players, the scam as it plays out, and the aftermath of its discovery. It reads like a conversation the reader is having with the writer; capturing attention, inviting questions and offering answers. 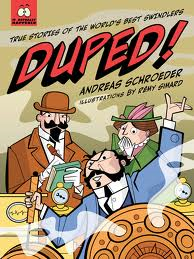 Scams have been run throughout history and this book provides a clear look at some of the most famous ones. As the stories are told, Remy Simard creates graphic illustrations to expand on the text and offer additional and familiar interest for young readers, while also allowing a quick glimpse at those who perpetrate such deception. A table of contents, a list of books for further reading should one or more entries capture particular attention, a bibliography, and an index are each helpful. Gray information boxes also help to define further details. This is sure to lead some readers to further investigation, and to elicit questions that will further discussion concerning ethics, relationships, cruelty, gender and class. There is real value in sharing such a well-written and informative book. I have a very soft spot in my heart for this book. My dearest friend lives in Celina, Ohio. The first time our family visited, we flew into the airport at Fort Wayne, Indiana on a blazing hot July day. My six-month-old son was literally stuck to me, due to the humidity when we landed. I think that our mutual aversion to humid weather might have begun right then and there. I have been back to Fort Wayne on many other visits...never to the airport. Piqua is also nearby, and I have also visited there. They have SweetHart Cakes and Thoma Joe Jewelers...I have a history with both! Truly, I have a very special place in my heart for each and every one of Helen Frost's books. They have a special section of their own in my library, and I have returned to them time and again for lessons in perfect word choice, pacing and storytelling. I have such admiration for her body of work. She is a consummate researcher, and a meticulous crafter of shaped poems that have everything to do with the story she is telling. There, I've said it! And, I must also say I have a clearer picture of the war of 1812 than ever before...Ms. Frost gives us characters to admire and a powerful story of two boys caught in a clash that has no real meaning for them. They have difficulty understanding each other at times because of language; but, in this instance, they have the same discomfort about what is happening around them that is completely beyond any personal control. Using her knowledge of the Miami people, the events of the time and cultural differences, the author crafts a poignant tale using the observations and emotions of two young boys, friends since birth. Its pages alternate between the two voices, sharing their personal perspective on all that is happening as war rears its ugly head. Anikwa is a Miami boy who has always spent time with James, the son in the family that owns the trading post at a nearby fort. They have shared so much in their short lives. Their families have always lived as friends. Mr. Gray provides needed supplies while the Miami provide goods essential to those who live at the fort. They have learned to assist each other in battling the tough conditions of living through harsh winters, scorching summers, good times and bad. Both British and American forces seek dominance in the Indiana Territory, and the two families (and their sons) are caught up in the fight. It pits one friend against the other...or does it? The boys' voices are created in two distinct styles of verse. In a note about form Ms. Frost explains that Anikwa's verses are designed in the shape of traditional ribbon work done by the Miami. James' voice is written in two line stanzas meant to represent the American flag. 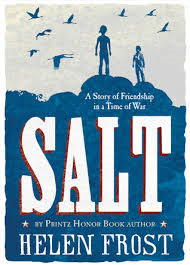 Interspersed throughout, there are lyric poems about salt, a valuable commodity for both cultures and a strong link when the fighting begins. Further to the notes about form and salt, we are made aware of names chosen for the telling and a glossary of Miami words. "The lion tries to ignore it when the gazelles whisper behind his back. He pretends not to see the zebras looking down their noses at him. The wildebeests call him "bad kitty" just because he's eaten half the neighborhood. I've been thinking that August is passing too quickly, and soon the kids will be back at school. Up until now, I've been enjoying summer and the lazy, hazy, crazy days! Today, I'm hoping that someone will invite me into the classroom so that I can read this book...as soon as school starts! 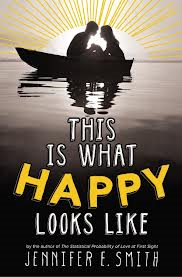 If I miss anything in retirement, it's the joy of sharing books that students and teachers have likely not heard, and wanting to watch their faces as each new one is introduced and shared. This one begs to be read aloud, with feeling and repetition. It's a 'ten', Erin! If you read Creepy Carrots (Simon & Schuster, 2012) or have seen Sidekicks (Scholastic, 2012), you will have some sense of anticipation for a book that combines the incredible writing talent of Aaron Reynolds and the bold, hilarious artistry of Dan Santat. Now, add a zany sense of humor from both, and you get a cracking good story to share. "So it was just a matter of time before the lion, the great white shark, and the timber wolf started hanging out. 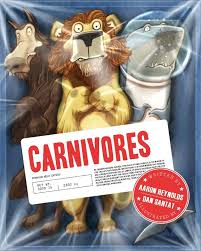 Because even carnivores need to share their feelings." Any attempt at being other than who they are has devastating results. The wolf finds rabbits in every berry bush. The great white shark thinks takeout when he sees a pod of dolphins. Salad leaves and bark get caught in the lion's teeth. There seems no solution to the bad rap they get! "It used to hurt my feelings, too. But now I remind myself...I'm not bad. I'm a carnivore. Eating meat is just what I do." Again, everything I tell you pales in comparison to the real thing. So, get to the library, your local bookstore, or go online and get yourself a copy. You will be as anxious as I am to share it with anyone who will listen! Each one of those sentiments has a totally different meaning. The proof is in the pictures! It isn't necessarily what you say that matters, it is how you say it! The frog is living (well, almost not) proof of that concept! Can I just say it? I LOVE Jeff Mack. What a strong sense of story he has...and that sense of humor is something we need to put in a jar for everyone to enjoy. His new book (along with Good News, Bad News) have a place on my list of absolutely necessary books for a new baby's library. I already have copies on order for dear friends whose baby is due in mid-October. The bag just keeps growing and will soon burst its seams. Oh well, there are always bigger bags! I cannot begin to do justice to the concepts that Jeff has created for this book that contains only two letters, a lively cast of characters and incredible illustrations. It involves a lazy, lolling frog on a sunny, warm day who comes upon a rock suitable for singing. Quickly and surprisingly captured in a glass jar by a pair of lucky hands, he is eager to find release. Once out of the jar, each new place deemed safe is NOT! Each new action elicits a different and appropriate meaning for AH and HA, or for AH HA! Thankfully, in the end, the waters are mirrored by a starry quiet night, and all seems well in the frog's world....AAHH! Jeff Mack uses mixed media to create the brilliant, energetic illustrations. Readers are sure to be entranced by the continuous action, the surprising humor for each change of scene, and the chutzpah of our froggy hero. Very observant little ones will notice that the speech bubbles change color as the characters speaking change. So clever! This one is going to be great fun to read...again and then, again! We've been singing this lovely, lovely song since Erin was a baby in 1976. As a kindergarten teacher, it was one of the first songs I taught each and every year. We did sing out LOUD and STRONG...and it didn't matter that the little ones weren't always on key as I wasn't either. But, it didn't deter us from singing it over and over again. It may even have made it to a concert or two. 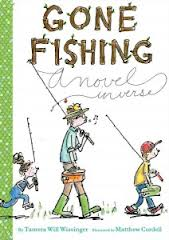 It is such a joy to have Tom Lichtenheld interpret it for a new generation of readers! In the beginning, it is wordless. None are needed to show readers and listeners how the three tiny birds are feeling about a cloudless blue sky. One tweets and off it goes to new adventure. A second follows. The third can't seem to make a sound. It appears befuddled and concerned about that lack. Determined to keep trying, and then discouraged by failure, it is still in the nest when a young man appears, carrying his guitar and prepared to make music. As the wee purple non-warbler listens, the music rises and gathers beneath the nest. It eventually breaks the nest into its component parts, leaving the tiny bird to absorb its many joyous notes. It is all the incentive needed, and all you will need to get your little listeners finding their own voices. A CD is included which might help you find a voice to share it...then, it's sure to be heard again and again in the days to come. "Leonardo believed that a single span bridge was surely possible. But like Mr. Paine, he never saw his bridge constructed. He also proved the value of truss bridges. Leonardo's experiments confirmed that a triangular truss would resist tension better than the older box structures. He proposed a two-level truss..."
As I have mentioned time and again, I really like to share books that will impact the thinking of young readers...and one of the best ways I know to do that is to introduce them to people who have made a difference in the world, and to concepts that connect us from a historical perspective. The three books I am sharing in this post do just that. Gene Barretta does a great job of giving his readers information that will make them sit up and take notice. I should have put Now and Ben (2003) first as it was published first, but I didn't. So, here goes with Leonardo da Vinci. 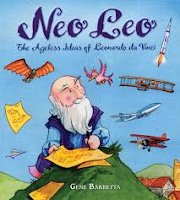 The subtitle suggests that his ideas are ageless and the author proves his point when he makes the link between Leo's thinking and the development through time of his many ideas. While they did not come to fruition during his lifetime, his notebooks are proof positive that he did wonder about things like parachutes, hang gliders, the helicopter, robots, even the cooking rotisserie. Amazing! With the use of modern imaging technology, doctors now understand that when blood moves through the heart, it forms a vortex that opens and closes the valves. Leonardo had already figured it out. Through detailed body dissection and simulated water experiments, he discovered and diagrammed accurate examples of vortex formation in the blood. Today, scientists are using Leo's notes to bring his thinking to light...his ideas are being tested, and they work! There is no doubt that kids will be engaged when sharing this highly informative book. "Ben...invented the glass armonica. He was able to create music by simply touching his wet fingers to a row of spinning glass bowls. Mozart and Beethoven were so moved by the sounds that they composed for the instrument. Today, glass armonicas are very rare. You are more likely to find one in a museum than in a music store." This is the first in the set of three picture book biographies created using a similar format. If you know a young scientist with an abiding interest in invention, this might be just the book to get. Kids love to invent, and that is exactly what Benjamin Franklin did throughout his long life. I love the title page which shows our world on one half, Ben's world on the other...and some of the similarities from one point in time to another. 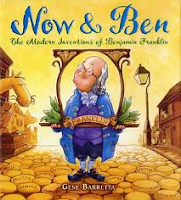 Moving into the heart of the book, we see Ben standing on a street in today's world, surrounded by some of the many inventions credited to him. Each consequent spread shows a Now page, facing a Ben page. "Now...bifocals are very common. Bifocals combine two sets of lenses into one pair of glasses. The bottom lens helps see near, and the top lens helps see far. Ben...originally designed bifocals for himself after he grew tired of switching between two pairs of glasses." Mr. Barretta's illustrations have real appeal for his young audience. He uses watercolor to create detailed, colorful images that are sure to entertain and invite discussion. Ben Franklin was an amazing man who left a legacy that never ceases to astonish for the breadth of his work and the way in which his ideas continue to inform inventors and scientists today...what will the future bring? "Like a tattoo machine, the electric pen contained a small needle that moved in and out. While writing a message, the needle poked holes in the paper to create a stencil. Ink was spread over the stencil to make copies. Lewis Carroll, the author of Alice's Adventures in Wonderland, was a big fan of the electric pen." "Edison used his failures as a necessary part of inventing. He once said, "I know several thousand things that WON'T work." And he would always try again." A valuable lesson for each one of us. This book is written to celebrate his many successes, and how they impact our lives even today. The facing pages of every two page spread concern the present day with what actually happened in Mr. Edison's lab. They discuss briefly how we enjoy many modern amenities that have roots in the discoveries made earlier by Thomas Edison and his staff. The pages describing his work are more detailed concerning the ideas he had and the improvements he made in already developed technologies. The simple diagrams are created to help young readers understand the many concepts concerning the workings of those technologies. I know they helped me to understand both the photocopier and the tattoo needle. Will wonders never cease? Bravo, Mr. Barretta! Perfect as fodder to get kids thinking and wondering about this talented and ahead-of-his-time thinker, this book is just what they need to send them looking for further information. 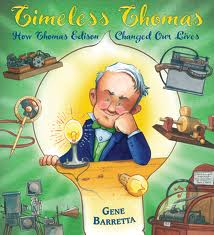 To that end, the author adds a bit of a timeline for the many innovations that began when Thomas was only 12, a list of Mr. Edison's employees, a bit of trivia and a bibliography that is sure to point them in the right direction if they have a need to know more. you've heard of it, right?" What happens when an indestructible force meets an immovable object? 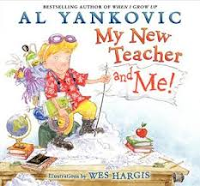 Al Yankovic takes on just such a premise in his book about teachers and students. It is a lesson in imagination and understanding. While it does give the reader pause, it will also make you laugh to read the antics of one young boy who is 'different'. I think it's an important story to tell, and I would bet that Dr. Ken Robinson might agree. If you haven't heard any of his TED talks, be sure to check them out. When Billy arrives at school on the first day of a new school year, he is a bit anxious wondering about his new teacher, as I am sure his teacher is also feeling as he wonders about his new class. It doesn't take long for them to discover their differences. It's pretty easy to see on the first double page spread what the teacher is about....rules. They are posted on every desk, on the walls and even on the door as students enter. "He said, "You! Young man! Why's that filth on your shirt? You can't come in my classroom all covered with dirt!" Got a farm where the dairy cows each have two heads! Just to take their own pictures, at three bucks a pop!" The whole thing is sure to please listeners with the tall tales of a young boy with a fabulous imagination. Mr. Booth is his opposite, longing for order and simplicity in his dealings with his students. It takes a while, but there comes a time when Mr. Booth makes a bit of a startling discovery about Billy. He accepts his gift with decorum, and some incredulity. I think it's going to be a good year...start to finish! The illustrations created by Wes Hargis expand on the text in just the right way. Using watercolor, pencil and digital acrylic, he fills his pages with appealing characters, an imaginative setting and many details that need to be mentioned as the book is shared. Let the imagination soar! . "John William Peterson didn't die in The Great War. But on one hot summer's day, on a battlefield that was once glorious with ripening wheat, an explosion changed his life. He went home to Alberta without one of his arms." In this book that is meant to be read aloud to children, Linda Granfield introduces a military family. Three generations have fought in wars for Canada, and she describes how those wars have changed their lives. and its fields of wildflowers. tours of duty, but now I'm home." "We all chose to become soldiers. We all had our reasons for making that choice. I wonder what theirs were. I know mine." "Even now, when I'm home, some sounds make my heart thump. Those sounds take me back to Afghanistan. This book is thoughtfully written and thought-provoking. 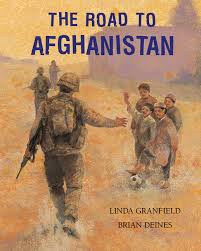 Brian Deines creates oil paintings that allow readers a feel for the wartime setting, and the pride that soldiers feel for the work they do.